This service allows you to request scanning and electronic delivery of chapters and articles from print resources owned by the UConn Library. This service is available to UConn faculty, staff, and currently enrolled students. You can also request directly through your My ILLiad account. 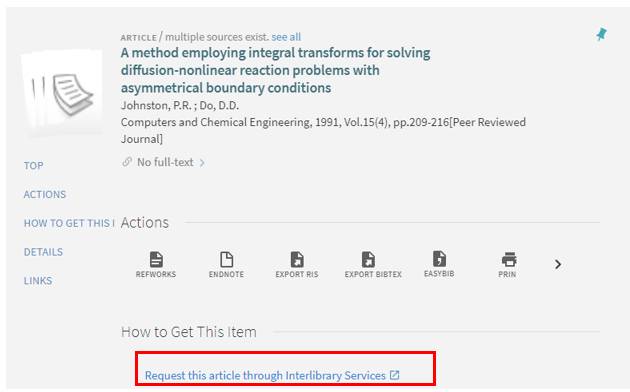 Simply log in and choose the link to the “Article” or “Book Chapter” form from the menu on the left. 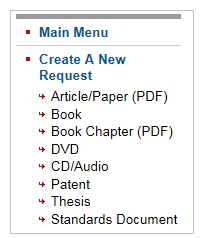 You can request that we scan chapters and articles from books and journals that are available at the UConn Library. Please note that we cannot scan entire books or journal issues. We strive for a 48-hour turnaround time during the academic semester, from request to delivery. During recess, intercession, and summer, turnaround time may be longer. Items that are missing from the stacks will automatically be referred to ILLiad for you. How long will the document remain available to me? The document will remain accessible to you for 30 days from the time it was posted. You can delete documents by clicking the “Delete” link to the right of the article information. What do I do if I accidentally delete a document? Please contact us to have a document resent. 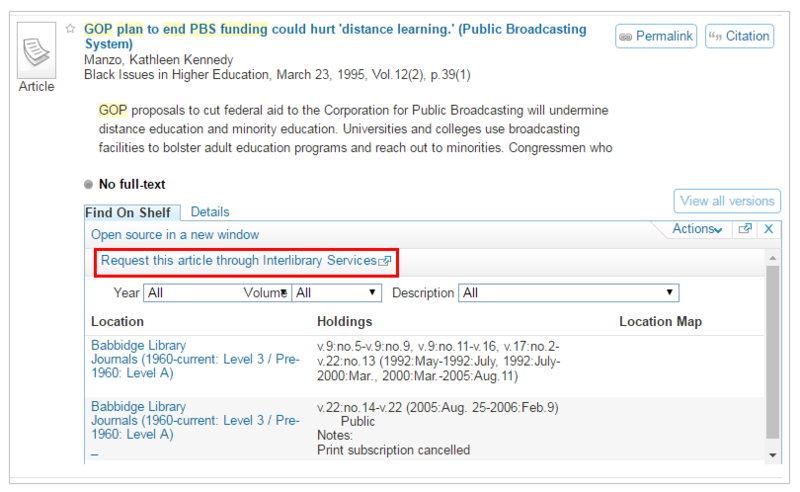 Please refer to the Interlibrary Services FAQ section How do I request an article or chapter that is not owned by UConn?